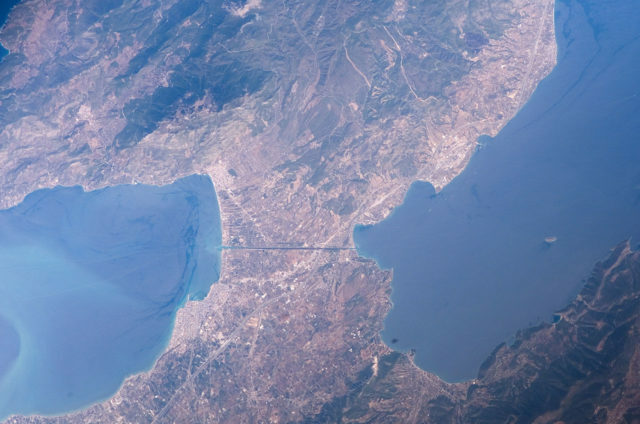 In Ancient Greece, near Corinth there is a paved trackway named Diolkos and is considered the first railway to have been constructed. In 1883, the German archeologist Habbo Gerhard Lolling was the first to identify the remain of the ship trackway. In 1912, James George Frazer reported on traces of an ancient paved trackway across Ishmus in his commentary on Pausanians. Parts of the western quay were discovered in 1932 by Harold North Fowler. The overland passage of the Isthmus offered a fairly shorter route for ships sailing to and from the Ionian coast of Greece to Athens. 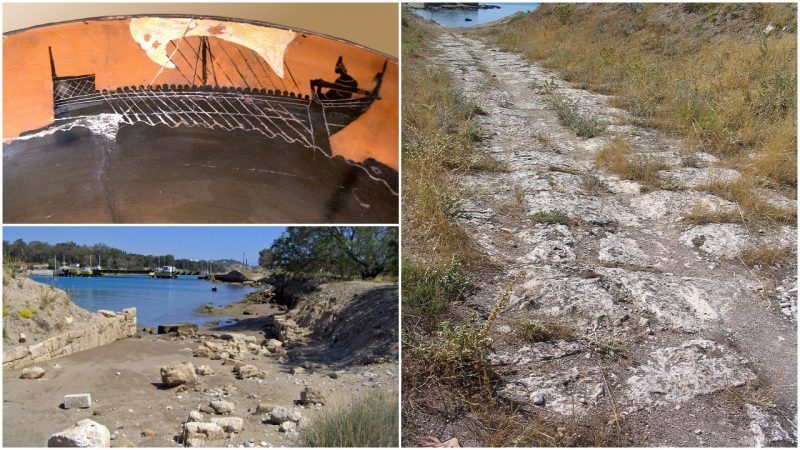 Diolkos was not only the shorter way to move ancient vessels but a more secure way as well. It allowed ships sailing from the Ionian Sea to the Aegean Sea to avoid the dangerous sea journey round the Peloponnese. Unlike Peleponesse, whose three headlands had a reputation for gales, both the Gulf of Corinth and the Saronic Gulf were relatively protected waters. The Diolkos ran across the narrowest part of the Isthmus. In order to avoid steeper gradients, the trackway followed the local topography in a curved course. There is a blank page in the ancient literature regarding the date of the construction of Diolkos. 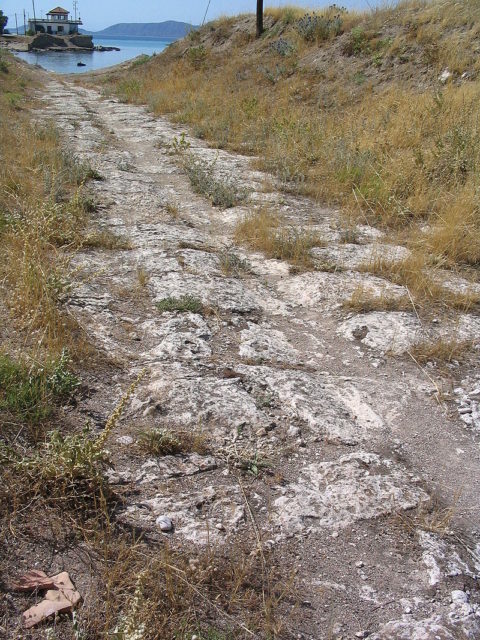 The trackway paved with limestone already seemed ancient for Thucydides (460 BC–395 BC). According to excavated letters and associated pottery found at the site, there are indications that Diolkos was constructed around the time when Periander was tyrant of Corinth, at the end of the 7th or beginning of the 6th century BC. 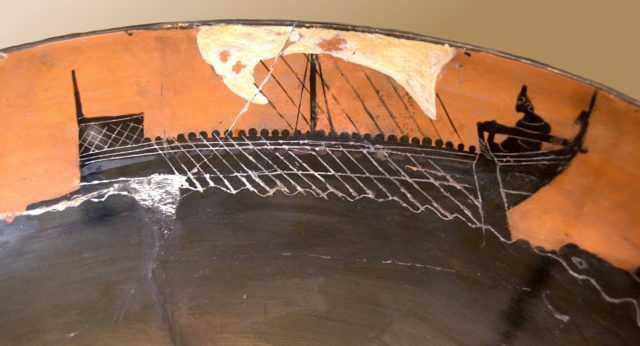 Image of a ship on Attic black-figure pottery (c. 520 BC). This is the sort of boat that the Diolkos may have transported in Periander’s time. The Diolkos played a significant role in ancient naval warfare.There are serveral occasions noted by Greek historians, from the 5th and 1st Century BC when in order to speed up naval campaigning. warships were hauled across the Isthmus. The Spartans had plans in 428,BC, to transport warships to to the Saronic Gulf to threaten Athens, over the Diolkos. A fleet of about fifity vessels was transported accros the Isthmus to the Bay of Corinth in 220 BC, by Demetrius of Pharos and his men. Years after, Philip V sent a Macedonian fleet of 38 vessels over the paved trackway. In 31 BC, Octavian, after his victory at Actium, advanced as fast as possible against Marc Anthony by part of his 260 Liburnians to be carried over the Isthmus. There are recorded usage of the Diolkos in 869 AD, when Niketal Oryphas, the Byzantine admiral had his whole fleet of one hundred dromons dragged across the Isthmus. Despite the mentioning of Diolkos in connection with military operations, modern scholars assume that the main purpose of the shortcut must have been the transport of carfo, as the warships cannot have needed transporting very often. M.J.T. Lewis, a British historian of science, suggested that the Diolkos could have been used as a railway, in a basic sense of a prepared track to guide the vehicles running on it so they cannot leave the track. A close examination of the excavated track give a different picture, though. 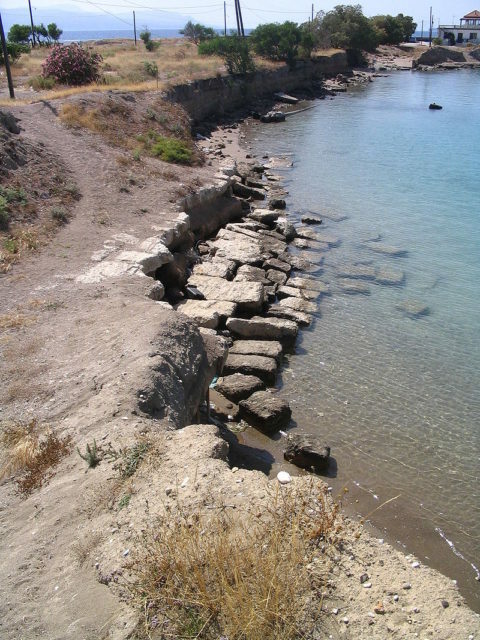 Today, considerable portions of the Diolkos are in poor state due to the erosion caused by sip movements on the nearby Canal. 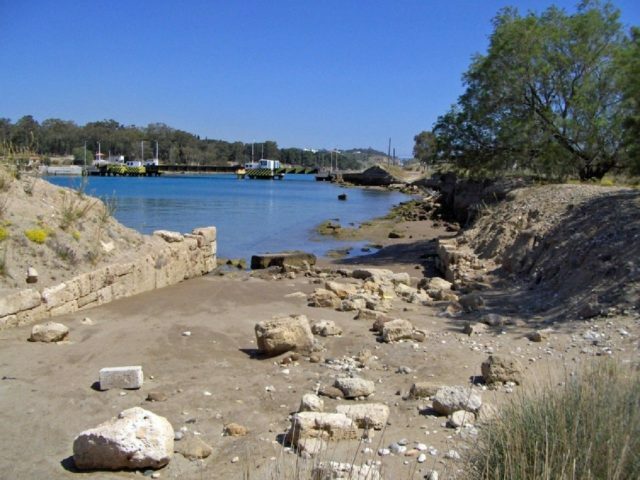 Critics blame the Greek Ministry of Culture for their passive and ignorant attitude regarding this ancient archaeological site, and there is a petition launched to save and restore this ancient trackway.